Smectite is a popular and effective drug from the group of sorbents. It is used in various intoxications, poisonings and diseases, has a small number of contraindications. In this article, we discussed how to breed smectite for child and adult, the indications and contraindications to this drug, counterparts. Smectite is a modern sorbent. Sold in pharmacies without medical prescription. Available dosed in sachets of 3G powder. The pharmacy can buy the bags individually or in a pack of 10 pieces. Remember that self-administration smecta is only possible when providing patient first aid in acute poisoning. Long its use must be approved by the attending doctor. Smectite, once in the stomach, adsorbs toxins and hazardous substances. It connects them, neutralize, after which they are excreted together with feces from the intestines. Also the effect of smecta is aimed at protecting the gastric mucosa from irritants, including from its own gastric juice. This drug stimulates the production of large amounts of mucus, which, enveloping the gastric wall, protects and helps to relieve the inflammatory process in them. Unlike most adsorbents smectite, provided its admission in the right dosage, does not cause constipation. This drug did not reduce motility of the digestive tract. As we mentioned above, the smectite can be used by people independently on the stage of rendering the poisoned person first aid. This drug with proper dosage is not dangerous to the human body. Diarrhea of various etiologies, caused by poisoning, intestinal infections, intolerance of some foods, inflammatory bowel disease. The feeling of heartburn and reflux, belching with a sour or bitter taste. 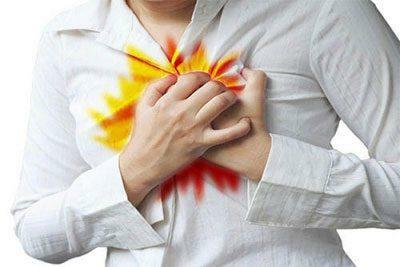 Exacerbation of chronic gastritis, which is accompanied by a feeling of bloating and stomach discomfort in it. Drug drug is allowed for treatment in pregnant women and breast-feeding. 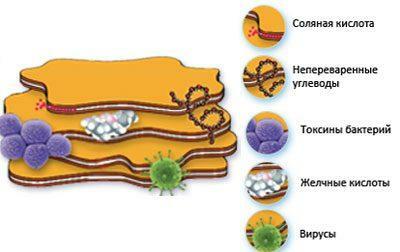 It is not absorbed into the bloodstream from the intestine and has no systemic effects on the body. Idiosyncrasy, hypersensitivity to it or some of its components. Full or partial bowel obstruction. To suspect the condition is acute pain in the abdomen, increase of temperature, cessation of flatus and stool. Fructose intolerance (she is a member of the drug). Gastrointestinal bleeding (manifested by vomiting and dark black diarrhea). In this state, forbidden to accept anything before the arrival of ambulance crews. Even such a drug as smectite, can lead to increased bleeding and increased blood loss. On pharmacy shelves can be found the analogues of smecta: diosmectite and neosmectin. These drugs have the same active substance. Dosage and rules of cultivation of the analogues can differ from smecta. Before their reception it is necessary to carefully read the instructions. To prepare smectite powder at home is absolutely not difficult. Before taking this medicine you should carefully read the instructions. In order to properly dilute smectite adult, you need to pour the contents of the sachet smecta in a glass and pour warm water to half the glass. Use warm or cold water is prohibited. Dilute the product to be only a canteen of water, without any additives, sugar, salt. Exceed the recommended amount of water is undesirable. To achieve maximum therapeutic effect must be strictly observed the rules of cooking, specified in the instructions. How to breed smectite for children? For kids to prepare a solution of this product to be a little different. They also need to dissolve smectite at room temperature water, but in smaller quantities. For infants enough 50 ml of water. Children after three years you can dissolve smectite as well as adults. If the child refuses to accept smektu in its pure form, it can be diluted juice or puree. As such, the kid is happy to eat her. 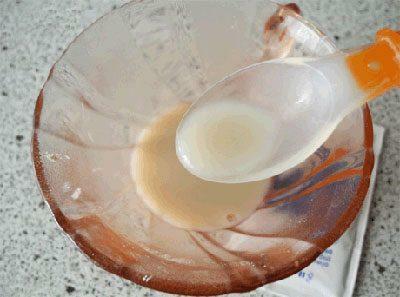 To store the diluted smectite can be for one day in the refrigerator. Before every use thoroughly stir the prepared solution, as active substances can be precipitated. Overdose smektoj may develop subject to its uncontrolled reception in a large dosage. While a person may start constipation, reduced intestinal motility. But acute poisoning and drug intoxication can cause, as it is not absorbed into the blood stream. This drug is in unchanged form out of the intestines. Constipation, which may occur due to excessive use of this drug, often independently passes after you stop taking it. As we have said, smectite can be used in acute poisoning in the form of a preparation to provide first aid. But, as a rule, it is not sufficient to relieve the state of the poisoned person. If the patient’s condition is deteriorating rapidly, it raises the body temperature, there is profuse diarrhea and repeated vomiting, severe abdominal pain, increasing weakness, shortness of breath, quickens the pulse, you should immediately call an ambulance. Before arrival of physicians in the first place to try to remove from the stomach the remnants of the toxins, causing poisoning. For this you have to chug a liter of plain water and make yourself vomit attack, pressing a finger on the root of the tongue. After cleansing the gastric cavity to accept smektu, or any other sorbent. Suitable even for activated carbon. Before taking any of sorbents should carefully read the instructions. Before taking sorbents, you should check the date of manufacture. Expired drugs can lead to acute poisoning and severe intoxication or to be simply ineffective. After the sorbents have to give the patient water to drink. Suitable for both regular dining room and mineral alkaline water. Should drink little and often. For example, a few SIPS every five minutes. The drink should be hot or cold. To optimally use water at room temperature. Smectite is a modern drug from the group of sorbents. It is used for diarrhea, poisoning, dyspepsia. Before its admission should read the instruction manual. Long usage is possible only after consultation with the doctor. To prepare a solution smecta simple, and everyone can do this at home. The drug should be diluted in a simple warm canteen water. In acute poisoning a single smecta enough to facilitate the patient’s condition. Poisoned people need of the washing stomach, drink plenty of liquids and further medical examination and treatment.